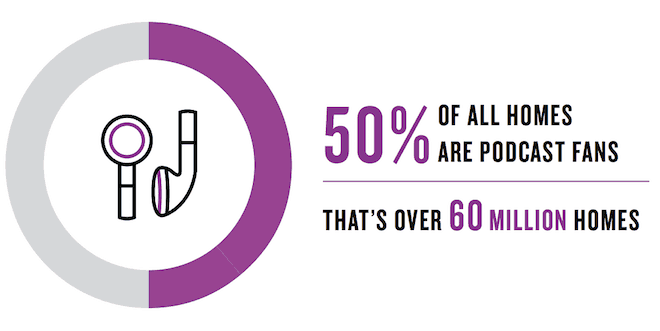 Updated stats: Edison Research Infinite Dial 2019 released March 6th, 2019. Q1 2018 report from Nielsen came out March 20, 2018. Total number of podcasts & episodes on iTunes updated April 2019. 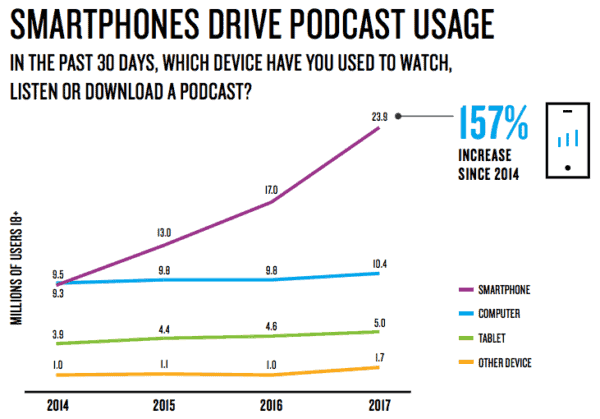 As new stats and reports come out, this post will be updated with the latest info on the podcast listener landscape. There is both an infographic (with embed code) and a Pinterest image for your sharing needs as well! Want to start your own podcast? Check out some of the best podcasting hosting companies and our guide to starting a podcast. Then take it to the next level by starting a WordPress blog. If you’re looking for podcast stats & analytics for your podcast, check out Blubrry Statistics here. Also, a common question is “how many podcasts are there?” and most of the data out there is outdated, but we have an accurate method for determining the number of shows – and it’s currently over 700,000. There are also over 29 million episodes as of April 2019. To highlight the growth, Apple confirmed there were over 550,000 podcasts at WWDC 2018 in early June. Apple Podcasts … features more than 500,000 active podcasts, including content in more than 100 languages. It’s no surprise that those numbers are climbing daily. 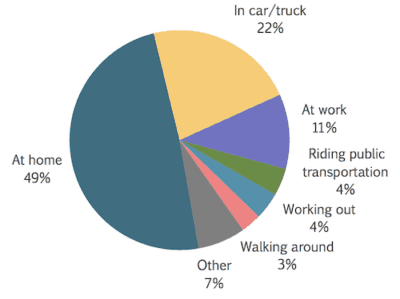 Please include attribution to podcastinsights.com with this graphic. 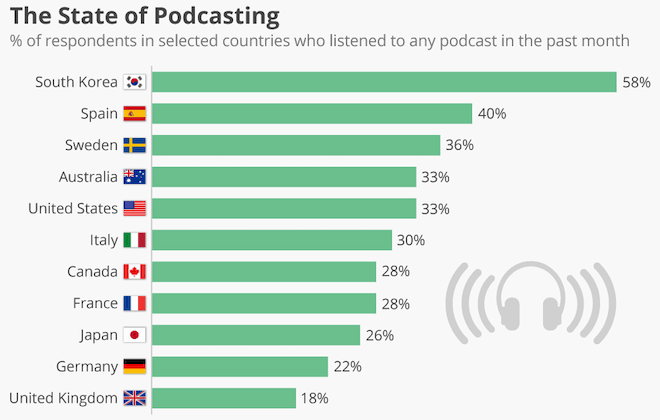 South Korea leads the world in the percentage of people who have listened to a podcast in the past month with 58%.